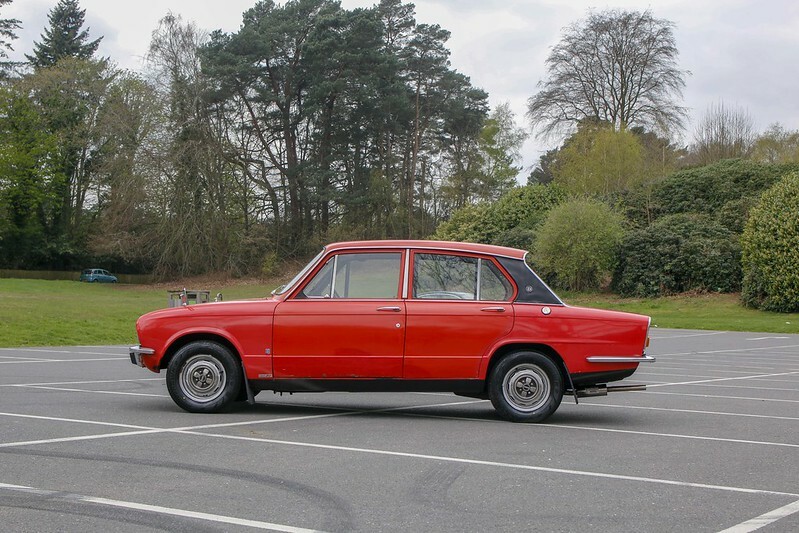 Very well known to the Triumph Dolomite Club, ‘ERO’ belonged to the late Jon Tilson and is presented in Pimento (paint code 72) with a black interior. It has just received a sympathetic recommission after being in storage. Currently the car displays 59,500 miles, although previous MOT certificates support the current mileage this cannot be verified. 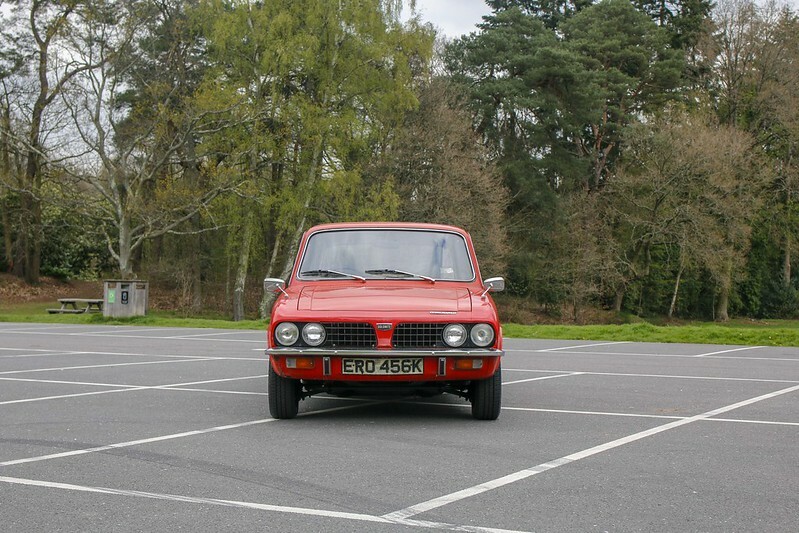 ERO is a rare and highly desirable first generation car built in the first half of 1972 and features early dials, pull down grab handles and a centre interior light. 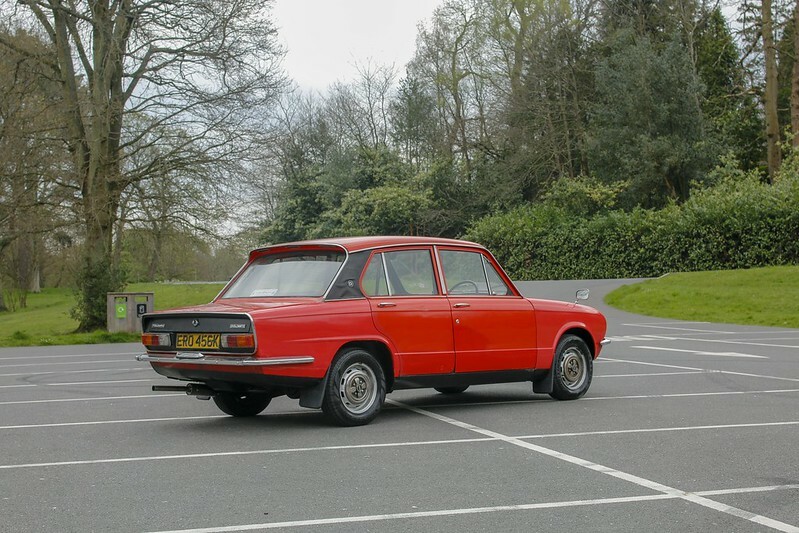 Something very unique to these cars is that the drives seat can be raised, lowered and the angle adjusted, as can the steering wheel which can be adjusted for height and reach. 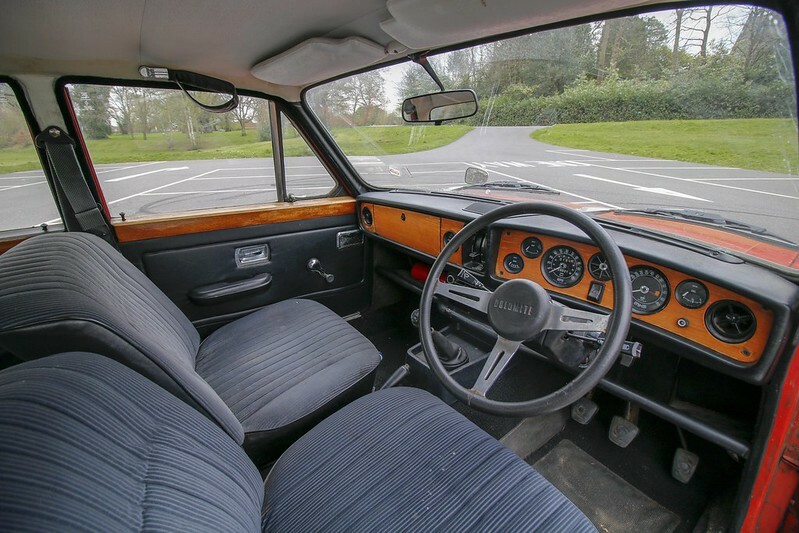 ERO’s interior is original, still having it’s original undamaged headlining fitted and the wood is all in good condition. EROs original 1850 engine has been replaced with a 2.0L TR7 unit running on twin SU HS6 Carbs. It runs well giving good compression and does not use any oil. It has received a mini service with the oil, filter, plugs, leads, distributor cap, rotor arm and air cleaner being replaced, it runs electronic ignition, the distributor has been cleaned and checked, it starts on the button every time. The carbs have been cleaned and refreshed, they would benefit from a good run and reset, this will be done ready for the new owner. The tanks has been flushed and all fuel pipes have been replaced as have the breather hoses and accelerator cable. 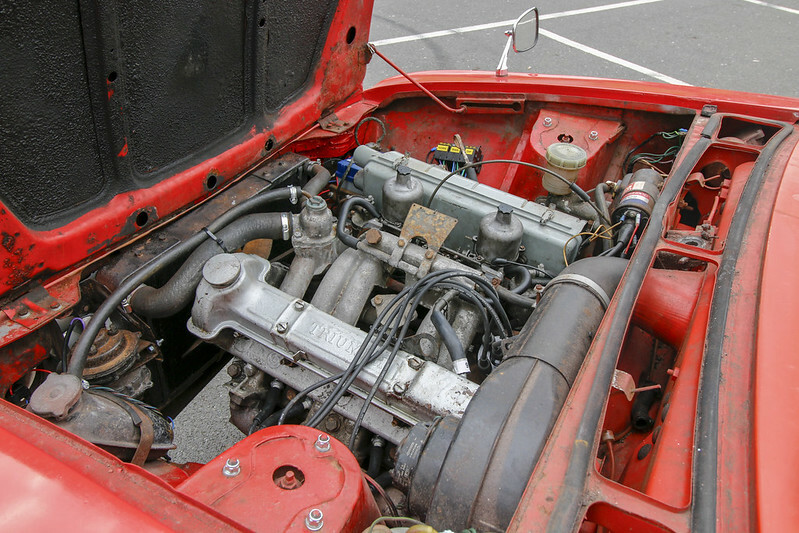 The cooling system has been thoroughly checked, new hoses fitted and the system has been refilled with the correct mix of coolant, it does not overheat or use any water at all. A brand new stainless steel exhaust has been fitted. The gearbox is the standard early 3 rail unit and benefits from having an overdrive fitted a new gearbox mount has been fitted, the clutch master cylinder has been overhauled and the hydraulic hose and slave cylinder have been replaced with new items. The cars electrical system has been overhauled and checked, the headlamps and horn have been rewired and are now powered through relays for safety, a replacement fuse box, new voltage regulator and flasher units have been fitted, all gauges work as they should. The braking system has been completely overhauled with new pads, rubber hoses, refurbished front callipers and replacement rear cylinders all have been adjusted and bled with fresh fluid. This car now stops as well as it goes. 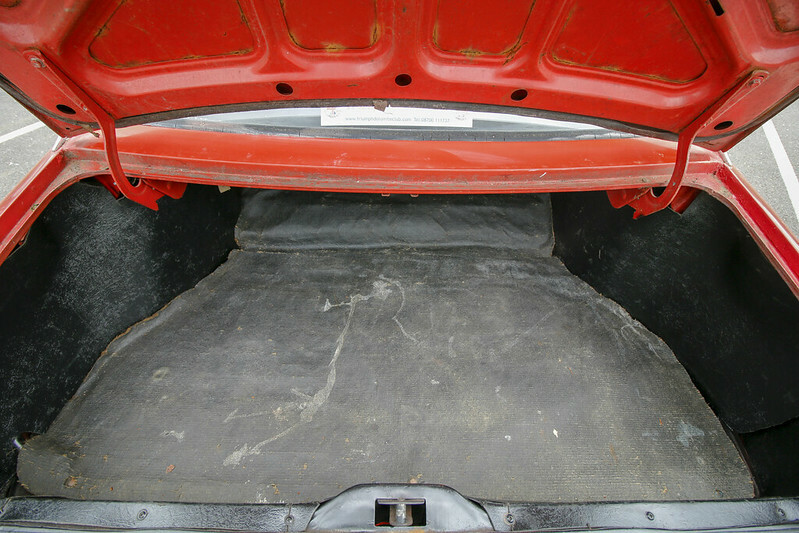 The body had has had the usual repairs to the front end, boot floor and sills. 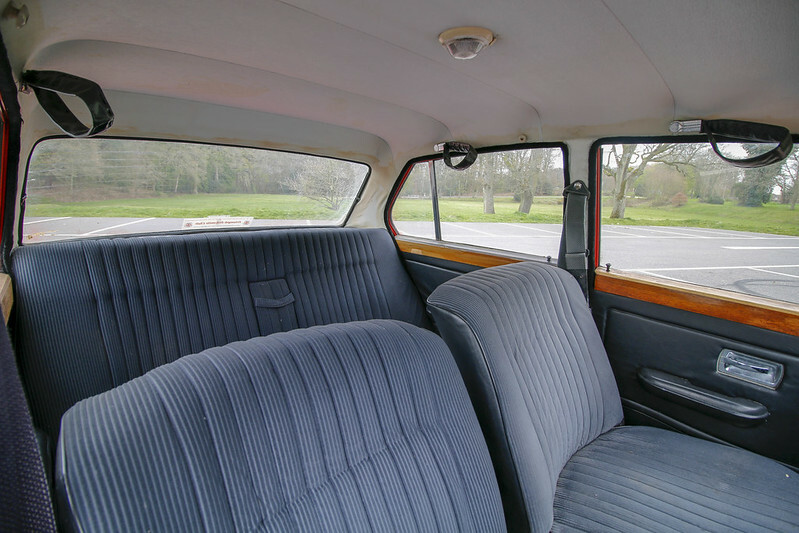 These have been done to a high standard and rust protected for the future, the sills and boot floor repairs are club supplied zintec items and should outlast the car. A typical problem area on these cars is on the bulkhead where the throttle pedal mounts, this is solid on ERO. 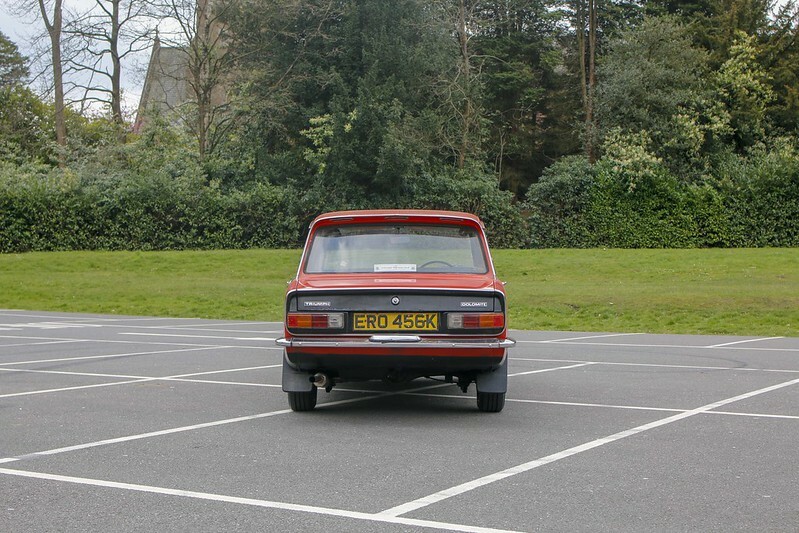 The paintwork looks good for its age and comes up to a nice shine; the front and rear wings have been touched in where the repairs have been carried out. The doors do show evidence of previous paintwork. In the boot the original mat and boot boards are still intact, and the spare tyre is under the boot floor, four brand new Firestone Multihawk 2 tyres have been fitted and the wheels aligned. 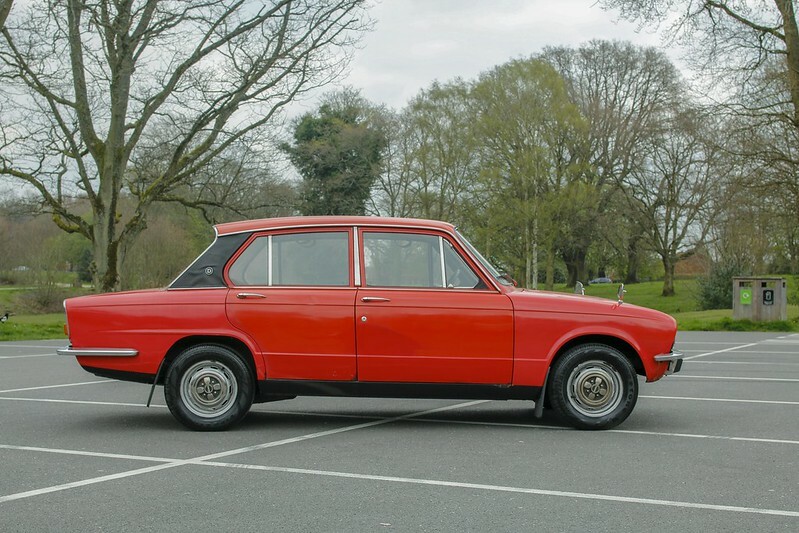 Although it is Tax and MOT exempt the car has a fresh MOT for peace of mind expiring in April 2020 plus two sets of keys. 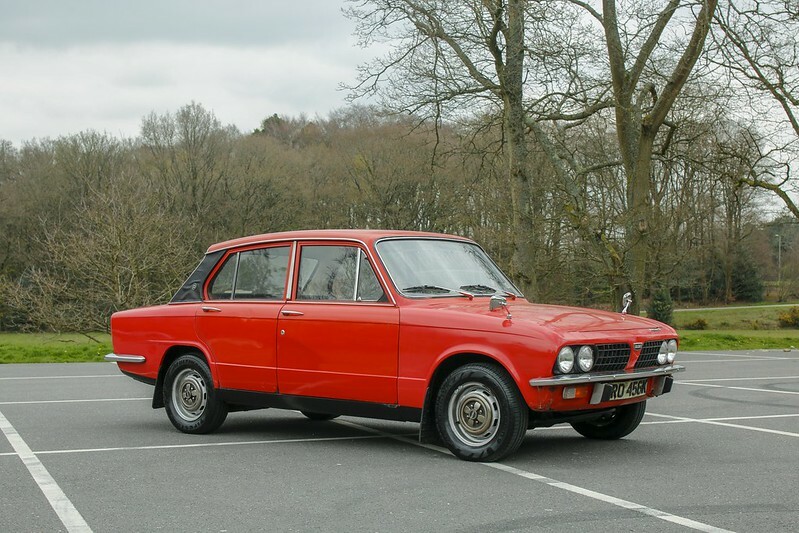 If the new owner is not a member they will receive one year’s membership to the Triumph Dolomite Club allowing them to take advantage of the wealth of knowledge and expertise and parts supply that the club has to offer. 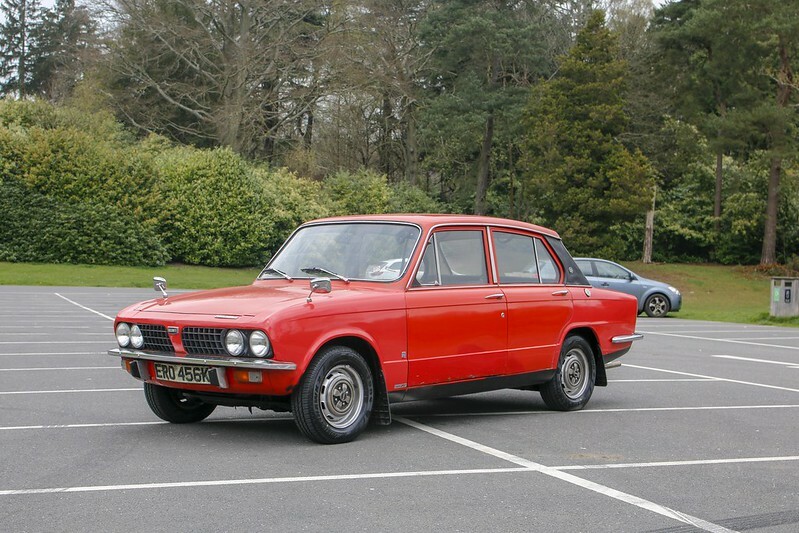 We have some spares which can go with the car to be negotiated separately. 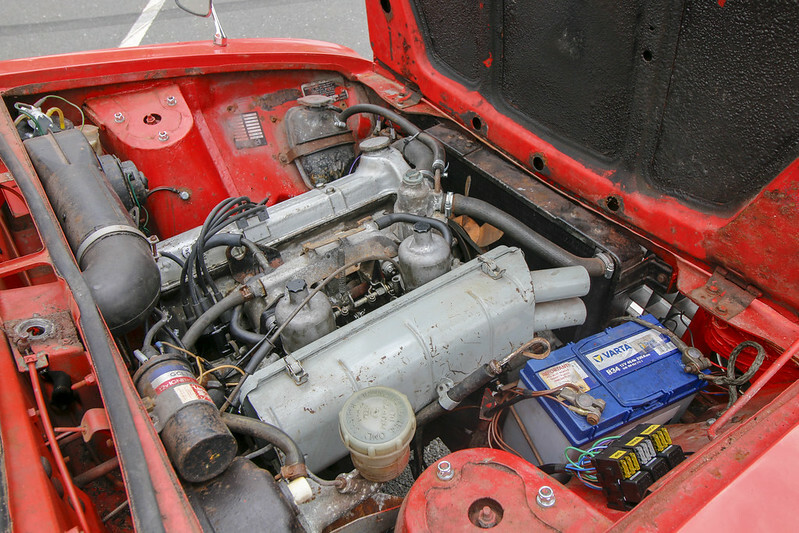 A complete original fuel injection system for the TR7 engine, rear axle, propshaft, cylinder head and inlet manifold. 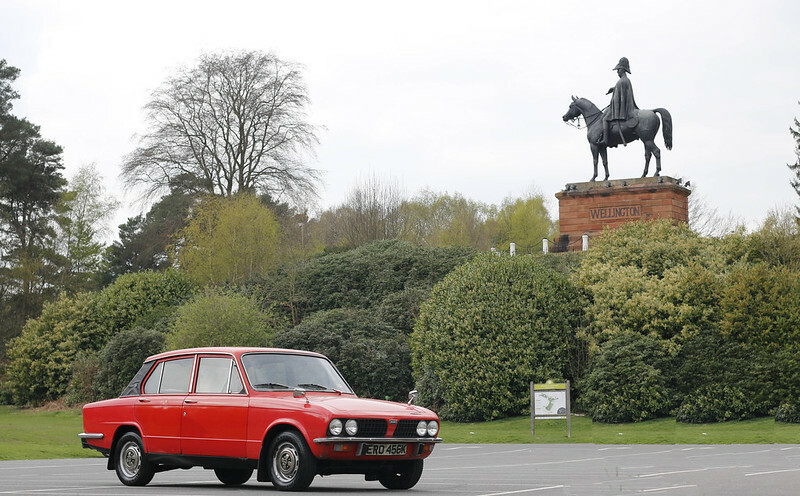 The car is original and not a show queen, so expect some dings and dents from over 40 years of use as a family car. 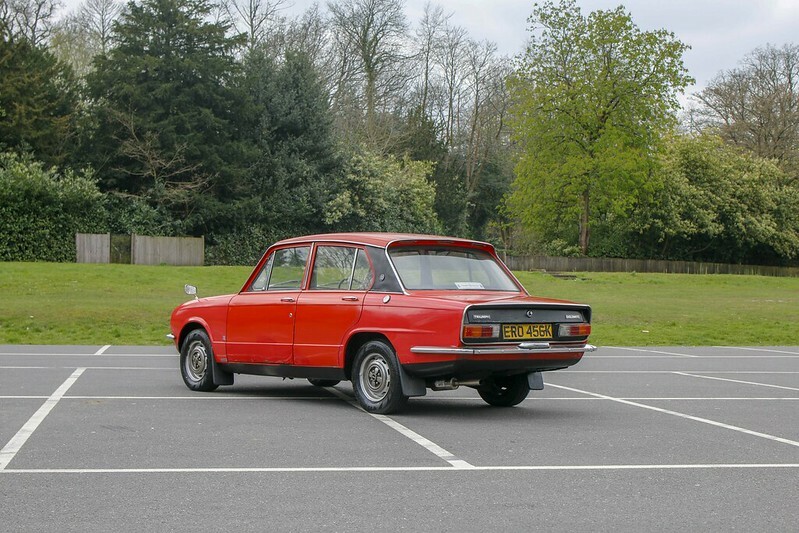 The car is sold as seen so viewing is highly recommended. It can be viewed in Fleet, Hampshire.